Aargh. It’s already Nokia World. Why are we leaking it already? Well, it’s not like you didn’t read about them already, huh? These are pretty much everywhere now and common knowledge to the Nokia Blogosphere. All of these were pretty much known and suspected before yesterday’s leaks anyway. Here’s what may be coming later. 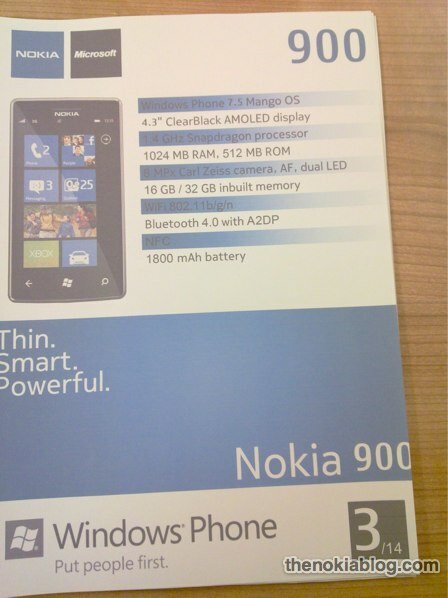 Nokia 800 Lumia, the N9 equivalent. Already seen in Live pics, yesterday but first presented by CEO Stephen Elop after the N9 launch. Well presented and not meant for blogosphere. Nokia 710 Lumia, the 603 equivalent (which itself is the concept wp). Also already seen in live pics. Nokia 900, what our tipster called the Nokia Ace. Is it real? Oddly familiar looking. They seem to have the same specs. Looks like a HTC. I’m a fan of this screen size.